CenFlex rail fencing is designed specifically for horse and other large animal containment. Innovative continuous polymer or high-tensile wire technology allows the fence to flex upon impact to reduce injury risk while keeping the animal contained due to its high break strength. This fence rail attaches at end post and slips freely through the line post brackets to allow rail flexibility. CenFlex has the classic appearance of traditional rail fencing without the rotting, warping, splintering, brittleness and paint-flaking associated with wood and rigid PVC or vinyl. Product may be used in two-, three- or four-rail combinations and can be used as a top rail over woven wire horse fence. CenFlex should be installed on 4 in. to 6 in. wood line post and 6 in. in to 8 in. wood termination and corner post. Bracing and concrete is recommended at gates and corners but not on straight runs of line post. Occasional washing may be necessary to refresh fence appearance. Available in smooth or authentic wood grain textures, stylish shutters by Fypon add a sense of sophistication to windows. Whether youre focused on functionality or just want to enhance the aesthetic appeal of your home, Fypon shutters can be customized to cater to your specific needs. Choose from an array of alluring designs, ranging from louvered or raised panel styles to board or plank shutters. 1-inch x 6-inch x 6 ft. Pressure Treated Wood Fence Board MicroPro Sienna Treated Wood uses the only wood preservative technology that is low VOC and certified as an Environmentally Preferable Product. Innovative colour pigment technology gives the treated wood a warm, finished look. 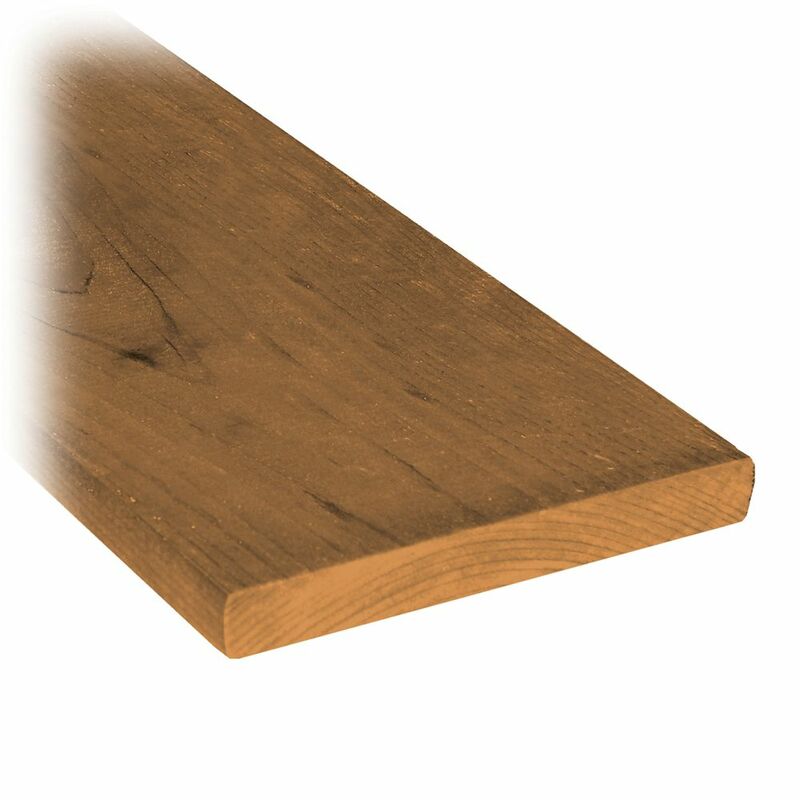 1-inch x 6-inch x 6 ft. Pressure Treated Wood Fence Board is rated 4.5 out of 5 by 2. Rated 5 out of 5 by ruthead from Great Fence Board Bought this to replace a fence. Looks great! Great selection! can this be used for fascia? it is much cheaper than the &quot;fascia board&quot; that you offer, AND it is a better width (6&quot;) why would anyone use 9&quot; fascia board? I really hope you can answer these questions. Thanks a lot. Herb, a fence board could be used for fascia on a PT deck. Typically decks are built today with 2x8 or 2x10, this is when the 9&rdquo; composite fascia comes in handy! Hope this helps. Is this wood copper treated? Is it safe for indoor use? Indoor table tops, decor, gates etc?